Experience Cinema has just announced its summer season of the Direct Line Drive In film screenings at Brent Cross. The screenings start on Wednesday 16h July with Grease (which, of course, features a Drive In), and continuing with films Wednesday - Saturday. As with traditional drive-ins, you pay for the car (£22), irrespective of how many people there are in it. Plus there will be 'Stateside Snacks' to eat, delivered by roller-skating waiting staff. See below for full details of films, dates and times. 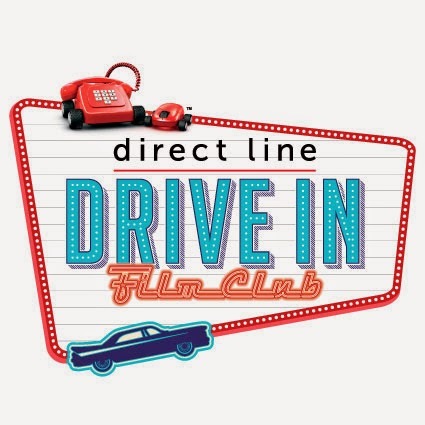 "Experience movie night Americana style with the Direct Line Drive In Film Club, set to screen its 2014 summer session from Wednesday 16th July 2014. The UK’s number one outdoor cinema, the Rooftop Film Club, takes its alfresco movie experience on the road again this summer, setting up the Direct Line Drive In at North London’s Brent Cross Shopping Centre from 16th July to 31st October 2014. Park up and kick back from the comfort of your own wheels (Chevrolet or other) and enjoy our selection of classic films and new releases on the big screen, the way your Daddy’s Daddy used to. Escape the shackles of the multiplex and soak up the atmosphere under the night stars, then flag down one of the Direct Line Drive In’s roller skating waiter or waitresses for window service of stateside snacks delivered direct to your car. One not to be missed for retro lovers and film buffs alike, and at just £22 per car regardless of occupancy, there’s no need to be alone at the Drive In. Take your squeeze or take the kids – we’ve got something lined up for everyone, from cult classics and drive in favourites Grease, Top Gun and The Italian job to blockbuster new releases The Grand Budapest Hotel, Dallas Buyers Club and Muppets Most Wanted. Sit back, tune in and get ready to enjoy the ultimate Drive In experience."